The D-League isn’t just a developmental league for the NBA, but it could also be an outlet for European clubs to find talent as well. I am not going to lie, I got the idea for this piece from this article by Uros Bajovic of Eurobasket.com. However, while his piece was a little brief, and geared more toward European audiences, I wanted to go more in-depth into some of his choices, as I do watch some DLeague on YouTube (I plan to watch more next year, as I will give up my NBA League Pass and focus solely on the Euroleague and some D-League on this blog), and I decided to focus on five out of his “Top-Seven” point guards (though to be fair, some of these guys are more “combo” guards, not necessarily pure point guards). I found Bajovic’s piece quite timely, especially with guards such as “El Chacho” Sergio Rodriguez, Loko guard Malcolm Delaney, and Barcelona guard Tomas Satoransky all signing NBA contracts over the past week. So, with that trio gone, the demand for quality point guards in Europe is higher than ever, and the D-League could be a good resource for Europe’s top clubs to find some under-the-radar talent. Bryce Cotton: I eliminated Cotton as he really didn’t play all that much in the D-League and actually spent some time on the Grizzlies and China last season (he only played 6 games with the Austin Spurs). I actually see Cotton as a realistic bet to play somewhere overseas, and I don’t see him as a guy really debating between the D-League and a job in Europe. I think if he doesn’t make the Hawks’ roster out of Summer League, he’ll find somewhere lucrative to play, perhaps China again since he has experience there. Xavier Munford: I would absolutely love to see Munford in the Euroleague or Eurocup, but I think he’s still a decent prospect who could latch onto a team either after Summer League or sometime during the season, making him a worthy candidate to start the year in the D-League. He averaged 20.4 ppg and 6.4 apg in 41 games with the Bakersfield Jam last season and he actually had a pretty good 14 game stint with the Grizzlies last year that merited him signing a multi-year deal at the end of the season (though the Grizzlies did not pick up his option for this year). Munford is on the Lakers’ Summer League team, and with a lot of roster-questions with that team at the backup point guard position, I could see him as a valuable reserve behind D’Angelo Russell next season. Quinn Cook: Cook, a guard from Duke, is coming off a pretty solid 19.6 ppg and 5.4 apg campaign in 43 games with the Canton Charge a year ago. I find Cook still a pretty good NBA prospect, as he was rated as the D-League Rookie of the Year last season. I think he will wait it out at least another year before he seriously contemplates going to Europe or overseas, and I think he will be given a 10-day contract or two next season if he doesn’t make a NBA roster out of Summer League. So with those three out of the way, let’s take a look at four combo guards who would benefit a move to Europe next year. One of the top point guards from the class of 2011, Teague entered Kentucky as a potential lottery pick. Unfortunately, a lackluster freshman year in his lone season with the Wildcats sunk his stock in the 2012 draft, as he went 29th overall to the Chicago Bulls. Teague, a former McDonald’s All-American out of Indianapolis, was the No. 1 rated point guards in the class of 2011, but he struggled immensely with shooting and efficiency offensively, as he only averaged 10.0 ppg on 41 percent shooting in 40 games for the Wildcats, and had an adjusted offensive rating of 99.4, which is extremely poor for somebody of his talent and importance to the team (he led the Wildcats in minutes percentage at 81.4). Many people felt Teague could have benefited from another year in college, but as is the case with most John Calipari recruits, he was determined to be a “one and done” even if his “one” year didn’t live up to the hype. Teague has struggled to find a spot in the NBA, as he struggled to find a role under head coach Tom Thibodeau, not necessarily the most gentle “developer” of rookies. Teague appeared in 48 games his rookie year, but he only averaged 8.2 mpg and 2.1 ppg while shooting a ghastly 38.2 percent from the field. The following season was even worse, as he only appeared in 19 games with the Bulls, and 21 games with the Brooklyn Nets after he was packaged in a trade for the rights to Tornike Shengelia. Neither campaign was very good though, as he averaged only 12.7 and 9.6 mpg with the Bulls and Nets, respectively. In October of the 2014 season, Teague was traded to the Sixers for Casper Ware, and unfortunately was waived promptly three days after he was acquired. Not under contract by any team, he was eligible for the NBA Developmental Draft, which he was drafted ninth overall by the Oklahoma City Thunder. Teague has performed well with the Blue, the Thunder’s D-League club the past two seasons, averaging 14.8 and 5.6 apg in 2014-2015 in 44 appearance, and 15.7 and 5.9 apg in 50 games in 2015-2016. Unfortunately, his strong performances haven’t really gone noticed by the Thunder, as he has not seen the floor with the Thunder over the past two seasons. (Of course, with the Thunder being one of the best clubs in the NBA the past two years, it was difficult for Teague to find a spot with the Blue’s parent club). Teague has proven to be a strong, physical guard who can use his speed and handles to blow by opposing guards and get to the rim with with ease (at least in the D-League). He also is strong when finishing around the rim, (though inconsistent, which I will go into more detail next paragraph). He has a nice floater, and he is able to position his body well against contact to prevent his shot from getting blocked against much bigger defenders. Furthermore, his vision off the drive is nice, as he is able to find cutting teammates or shooters in the corner off the dribble. Check out a 30-point performance he had against Rio Grande Valley last year, and it is easy to see Teague perhaps replicating that performance in the Euroleague or Eurocup next season. Unfortunately, Teague’s shot and offensive game is still a work in progress. His eFG percentage was only 46.2 percent last year in OKC, and he shot only 47.5 percent around the rim, 31.1 percent in the paint outside the restricted area and 28.3 percent in the mid-range. So while his 38.9 3-point percentage was a bit of an improvement from his rookie season (he shot only 17.4 percent from beyond the arc in his first season with the Bulls) this shot chart below should be evidence of how flawed he is offensively. Teague has a lot of the qualities of a Malcolm Delaney, and with the right freedom and club, I could see him blossom and perhaps raise his stock for a possible NBA return after a couple of years in Europe. Not many available players are out there that possess Teague’s combination of athleticism, ball handling and pedigree at the point guard position, and he would a substantial pay increase if he signed with a European club next season rather than stay in the D-League. A team like Lokomotiv Kuban or Laboral Kutxa Baskonia or Barcelona would benefit greatly from his service, and Baskonia and Loko have experience utilizing point guards like Teague properly as evidenced by Delaney and Darius Adams (Baskonia). Pressey has seen some NBA time with the Boston Celtics and Philadelphia 76ers but he has been unable to stick due to his small stature (5’11). A well-renowned player at Mizzou who earned 1st-team All SEC and honorable mention All-American honors his junior year, Pressey has the potential to come into a European club and be the kind of floor leader that could help a Euroleague or Eurocup club immediately. Pressey is more of a traditional point guard, as he looks to distribute and pass first rather than score-first like Teague. 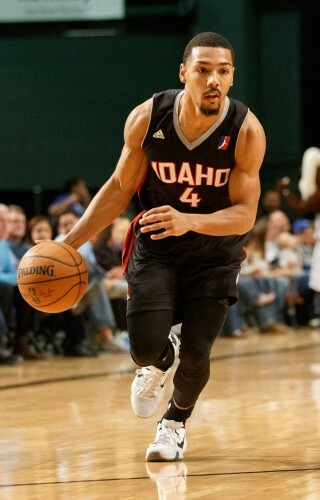 He averaged 13.7 and 6.9 apg in 31 games with the Idaho Stampede a season ago. Though not big in stature, and a bit susceptible to being posted up by bigger guards, or exposed on switches in the pick and roll, Pressey demonstrates some good hands and speed on the defensive end, as he averaged 2.0 steals per game with the Stampede. Furthermore, he plays hard on the defensive end, as he sported a 104.6 defensive rating a year ago, a pretty good rating for a guard (in comparison Munford had a defensive rating of over 111 last year). While a natural creator on offense, he is susceptible to some turnover issues as his 1.90 assist-to-turnover ratio still left some to be desired. And furthermore, his ability to generate offense for himself is a bit inconsistent, as he cannot really beat defenders off the dribble, especially bigger and more physical guards. That being said, when Pressey is on, he is fun to watch. He has a knack for making full court outlet passes, and has pretty exceptional vision in the half court as well. And furthermore, his instincts off the ball are pretty good as well, as he uses his speed and instincts to create open looks for himself at the rim. And he can get up to, as his athleticism may remind European fans of a Mike James when it comes to throwing it down in traffic. Check out some highlights of his from last year, and it’s easy to see why Pressey could fit in with a European club in 2016-2017. He is not the kind of “offensive” threat that Teague is or some of the other names about to be listed. His 3-point shot was pretty awful last year at 33.3 percent and his effective field goal percentage wasn’t much better at 49.9 percent. But, the former Celtic offers a lot of intangibles at the point guard position, and at 25 years old, I don’t see him sticking with a NBA club after this Summer. And thus, I think the move to Europe for Pressey would be the best option for his professional career going forward. Smith has had a weird career in professional basketball. He is obviously too good for the D-League, as he made mincemeat of the competition last season with Delaware. In 25 games, he averaged a ridiculous 27.9 ppg and 7.9 apg on 46 percent shooting while averaging a little over 37 minutes per game. However, his diminutive stature, and lack of a 3-point shot (he’s a career 33.1 percent shooter from beyond the arc) has kept him from really having much of an impact in the NBA beyond a few cups of coffee here and there. Nobody can create offense for himself and others like Smith in the D-League. He has exceptional handles, and he is able to swerve through opposing defenses as if they were chairs in a drill during practice. He plays incredibly well in the pick and roll, as he has the speed and strength to get to rim and finish, while still maintaining good vision and instincts to hit the screener on the roll or pop if open. Smith doesn’t have the natural gifts to be an elite NBA point guard (doesn’t have the size or the shooting, two big no-no’s in the modern game). However, his skills are extremely polished for someone who has been a bit of a D-League journeyman. Smith is a tough-as-nails competitor. From his college days at Louisville to his tenure in the D-League, Smith brings it energy-wise night in and night out. He plays flat out hard when he is on the floor, which is a reason why he posts some gaudy averages. While some players may have let the time in the D-League deflate them, Smith has used it as motivation, as he plays with a chip on his shoulder with something to prove every night, whether it’s Delaware, Westchester or even a call up in the NBA (which he had in Memphis last year). I believe European coaches would love and play him major minutes because Smith has the competitive fire that European basketball fans adore. His defensive rating isn’t great (114.2), and at times, especially when he is on a hot scoring streak, Smith can seemed a bit more focused on putting up crazy bucket totals rather than playing a complete game. He is an emotional player, and that sometimes can get him out of his game, especially defensively, as he will have lapses at times when he is caught up too much in the moment of a close or hotly contested game. But Smith was a lot of fun last year, especially in those game where he put up “superhuman” scoring performances. Take a look at this 65 point game he had last year with Delaware against Canton on national TV. Size-wise will always be a question with Smith going forward, even for European clubs, as he does look out of place when you watch him on film. However, Smith is the kind of fun, spark-plug player that would be a great asset for a European club. At the very least, he would be a great 6th/7th man off the bench that could help provide instant offense and energy. 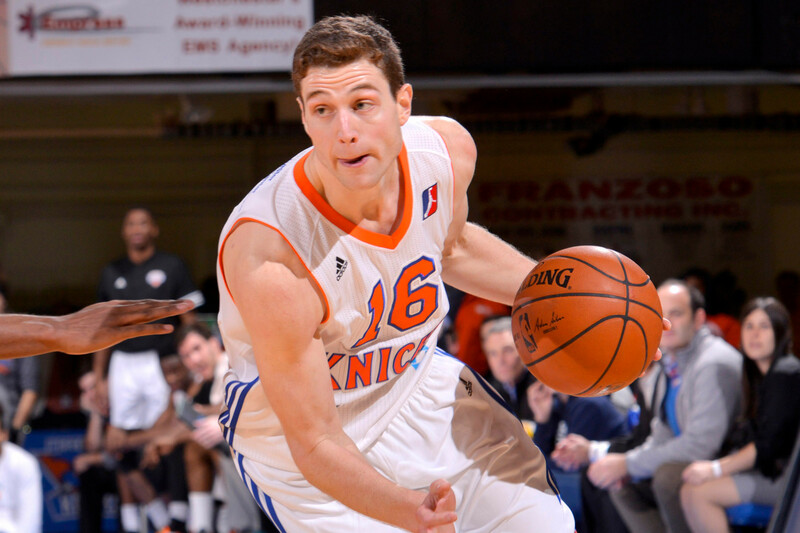 Fredette thankfully has rekindled some of the flair and confidence in the D-League that made him such a fan favorite while he was at BYU: he hits shots from long range in a variety of ways. He can do it off the dribble. He can do it while coming off of screens. He can do it in the pick and roll. He can do it from feet beyond the arc. When it comes to shooting the basketball, Jimmer isn’t quite Stephen Curry, but he isn’t all that far off when it comes to panache with the three point shot. However, one of the biggest developments of Jimmer’s game has been his ability to not just solely be a three point threat. Yes, his best shot is still from beyond the arc, and yes, 31.9 percent of his shots are threes. But, he has proven that he can damage defenses with shots all over the floor and not just from three in his year in the D-League. Just take a look at his shot distribution last year with the Knicks’ developmental squad. That’s pretty-well rounded and explains why he averaged 21.1 ppg for the Knicks in 40 appearances last year. Furthermore, he has also developed into a more polished playmaker as well as he averaged 5 assists per game last year, and looked comfortable handling the ball a lot more in the D-League than he did in NBA stints with the Sacramento Kings and New Orleans Pelicans. Now, I am not sure if Fredette will be a point guard long term. Defensively, he still struggles moving laterally, and he doesn’t have the kind of instincts to really make up for his athletic shortcomings on the defensive end. I could see clubs take advantage of him in the pick and roll as well as see faster, more explosive guards beat him off the dribble on a consistent basis. But offensively, Jimmer is versatile and can score with and off the ball, and that should give him enough value to entice a major European club to offer him a good 1-2 year contract. Watch his highlights below and you can see that he could be in the playing rotation of any club in Europe. Jimmer is probably the most shocking name on this list because of his status as a College Player of the Year at BYU as well as being the 10th overall pick in the NBA Draft. But, Jimmer really isn’t going anywhere in the NBA. He has sort of delved into a Tim Tebow-like figure in the NBA, where the distractions of Jimmer-mania don’t necessarily match up with his talent. That being said, Jimmer still has the potential to have a good professional basketball career. And I could see him doing it in Europe for a major club, not some second-tier club that only plays domestically. He could be a valuable asset for a Euroleague or Eurocup participant, and could turn into the main star of a European club team in a two to three years. He has developed that much since his rookie year. With the right team, role and coach, Jimmer could finally salvage a professional career that for the most part has been mostly a disappointment. Let’s just hope he’s willing to take the risk of making such a jump to Europe. And let’s hope a major European club has the guts to take a flier on him. Yakima, Wash., with the Sun Dome, and its history of CBA basketball (the Sun Kings), seem to be a perfect candidate to host a D-League franchise. What other cities should be in the mix? It seems imminent that there is going to be a 1-1 ratio of D-League affiliates to NBA teams in the rather near future. Considering the player development and organizational benefit it gives franchises, owning a D-League affiliate simply is worth the extra costs to NBA organizations and owners. A D-League franchise is like a personal R&D lab for NBA teams, and considering all the issues going on with college basketball as of late (whether it’s the Ed O’Bannon case, the threat of college athletes unionizing, the 1 and done rules, etc.) and the lack of control and input of players overseas in foreign leagues, it won’t be surprising to see franchises utilize the NBA’s minor league even more for talent development and acquisition in the next couple of years (and that is saying something considering the D-League set a record for call-ups and players called up a season ago). When negotiations begin for the NBA’s new collective bargaining agreement, it is a safe bet that D-League salaries, league age-limits, and draft-eligibility will be negotiated (or at least discussed) to encourage more true “prospects” to consider to jump to the D-League rather than overseas or even college. And if that is the case (being able to have early, internal access to a 18-19 year old player), NBA teams would be foolish to pass on having a D-League affiliate. Thus, it’s not a matter of “if”, but rather “when” the D-League will expand to 30 teams. So with that being said, what are potential locations for future affiliates? Before we get started with new potential cities, let’s look at affiliates that should (and most likely will) stay the same, both in terms of city and NBA franchise. Santa Cruz Warriors (Golden State Warriors), Los Angeles D-Fenders (LA Lakers), Reno Bighorns (Sacramento Kings), Oklahoma City Blue (OKC Thunder), Idaho Stampede (Utah Jazz), Rio Grande Valley Vipers (Houston Rockets), Austin Spurs (San Antonio Spurs), Texas Legends (Dallas Mavericks), Grand Rapids Drive (Detroit Pistons), Raptors 905 (Toronto Raptors), Canton Charge (Cleveland Cavaliers), Maine Red Claws (Boston Celtics), Westchester Knicks (NY Knicks), Delaware 87ers (Philadelphia 76ers). Here are a list of current NBA D-League affiliates/franchises who shouldn’t move cities, but should probably change the NBA team their affiliated. I associated the D-League franchises with NBA teams that were better fits mostly geographically. However, note that while I changed the NBA-D-League affiliation, I did not move the franchise at all. Sioux Falls Skyforce (Old team: Miami Heat; New team: Minnesota Timberwolves). Iowa Energy (Old team: Memphis Grizzlies; New team: Chicago Bulls). Erie Bayhawks (Old team: Orlando Magic; New team: Brooklyn Nets). Bakersfield Jam (Old team: Phoenix Suns; New team: Los Angeles Clippers). Fort Wayne Mad Ants (No previous affiliation; New team: Indiana Pacers). Sioux Falls has been an incredibly loyal D-League city. A couple of years ago, I visited a friend who lived there during the NBA Finals when the Heat played the Spurs. His family, which didn’t seem like big-time basketball fans (he grew up mostly in a wrestling family) cheered pretty hard for the Heat. When I asked them, their reasons were simple: Sioux Falls was the Heat’s “minor league team” and they felt obligated to cheer for the Heat, even though they were in Miami. As much as the Heat probably enjoy the loyal fan following in the East River of South Dakota, the Timberwolves make more sense. Sioux Falls sports fans in general tend to cheer for Minnesota-based sports teams, including the T’Wolves, Twins, Wild and Vikings (West River tends to go to Denver-based sports teams) and the “local” Sports network seems to revolve around Minnesota-based franchises as well. Sioux Falls’ passionate fandom of their D-League team would be a big boost for not only the Sioux Falls community, but the T’Wolves and their organization, as Sioux Falls fans would be more likely to travel to see their favorite player get called up. They’re not exactly paying for a cross-country trip to do that. But a 4-hour drive? That’s more do-able and that means win-win for attendance for the D-League and NBA franchises. Chicago seems to have a pretty strong number of Iowa transplants. Those who graduate from the University of Iowa seem likely to migrate to Chicago if they want the “big city” experience. Considering those ties, a relatively do-able driving distance (5 hours), and local Iowa hero Fred Hoiberg (i.e. “The Mayor”) now the head coach of the Bulls, the Energy seem to be the perfect affiliate. Of course, the color scheme would change, which would be the only negative, since Iowa has a pretty snazzy uniform ensemble. Erie was in a tough spot. They’re in the same state as the Sixers, but Delaware technically is closer to Philly, and without a Pittsburgh NBA franchise, and Canton already serving as a close affiliate to the Cavs, I had to pick the closest NBA franchise, which happened to be the Brooklyn Nets. I could see this maybe happening for a year or two before the Nets probably got something more local…a Long Island team, perhaps? I suffered through the same issues with Bakersfield that I did with Erie. Bakersfield and Phoenix just seem too far apart and doesn’t feel like a fit. Then again, neither does Los Angeles. I could see the Clippers doing something akin to the Lakers and just running their D-League franchise out of their practice facility. It saves a lot of money and gives them more direct access to their D-League operations. However, I feel that is a bit of a cop-out (seriously, you pretty much incur no operating fees by running your D-League team out of a facility that looks and feels like a rec center), and I like to see professional basketball be in cities that really would appreciate professional basketball, even if it is not the NBA. Bakersfield seems like that kind of city, so I’m giving them the Clippers…for now. Fort Wayne has always seemed to pride themselves in their independence (they are the last D-League team that is not a sole-affiliate), but let’s be serious here: they’re in Indiana, and the Pacers are in Indiana. It wouldn’t feel right if an Indiana minor league professional basketball franchise was an affiliate for another NBA outside the state of Indiana. Indiana basketball, whatever its form is, always has to keep Indiana ties. It’s just the damn tradition of the state. Fort Wayne really should’ve been the Pacers affiliate years ago, and it’s about time that starts to happen. Some of the choices I came up with stemmed from teams that had basketball history in their city. For example, Bowling Green and Lake Charles stemmed from ABA franchises, and Yakima and Rapid City stemmed from old CBA franchises. I tried to keep the distances less than within 3-8 hours driving distance, with Kansas City being the furthest away from their D-League affiliate at over 8 hours. The reason I went with Kansas City say over St. Louis (which is closer) is because A.) I am biased toward Kansas City because I currently live there, and B.) There always has been a weird lingering inter-city rivalry with Milwaukee and St. Louis stemming from the “Brewery” wars (i.e. Miller and Budweiser) and it didn’t feel right to put the Bucks’ affiliate team in a city that is considered a “rival”. I know this puts Baltimore in a weird spot, since there is a similar rivalry between Baltimore and D.C., but the Wizards used to be in Baltimore, and I want the “Bullets” to come back in existence in some sort of way. I feel that making them a D-League franchise with some variation of the old Bullets uniforms would be awesome and nostalgic in all kinds of good ways that would satisfy the old “purists” who miss the Bullets while not interfering with the NBA franchise (who won’t seem to budge on changing their name). I feel less confident in the Southern D-League affiliates because A.) I don’t think basketball would be all that big and B.) I had a hard time finding cities that were reasonable to their NBA affiliate distance-wise and were still small enough to be “Minor League” hosts. If people don’t remember, a lot of the early D-League franchises were located in the south, and a lot of them flopped because they just couldn’t draw. I think with the D-League taken more seriously now than before it would be better, but I wonder if “Minor League” basketball can make a decent enough dent to exist in the Deep South. I think that could be the biggest challenge for the D-League going forward: finding reasonable affiliates for Atlanta, Orlando, Miami and Charlotte (though I think Charlotte would find it easier because North Carolina is typically a basketball-crazed state, though more on the college end). So those are the changes I would propose to the D-League should they expand to 30 teams. It’ll be interesting to see as time goes by what cities are chosen to be affiliate cities and the rate the D-League will grow. Whether it’s in 5 or 10 years, it is simply a matter of “when” not “if” the D-League will grow to 30 teams, with each franchise having a D-League affiliate. The Reno Bighorns saw the most call-ups of any D-League team with 7 a year ago; what are the trends with D-League affiliates who have a lot of call-ups and those who do not? The D-League continues to grow in both numbers (the Raptors 905, the affiliate of the Toronto Raptors, makes the number 19 for the year) as well as relevancy and last season, one could argue was one of the most successful years for the D-League yet. Once seen as a last resort for players, and simply a re-incarnation of the old Continental Basketball Association (CBA), the D-League has become somewhat of a R&D department for players as well as organizations. A couple of years ago, the Rio Grande Valley Vipers got nationwide attention for their “3’s or Layups” approach that was chronicled in a Grantland Short, and the Reno Bighorns also gained notoriety by hiring David Arsenault Jr., the son of the coach who created the “System” at Grinnell College (Arsenault was an assistant at Grinnell since graduating). The result? D-League scoring records obliterated, and some national publicity that steered basketball enthusiasts’ attention to Reno and its players, the Kings organization and the System (beyond the Jack Taylor 138 point game, which has garnered mostly negative attention, though somewhat inaccurate). So, the D-League, the NBA’s de-facto minor league, has come a long way since it was first established in 2001-2002 (where it was mostly established to lower the bargaining power of the CBA, which was the NBA’s main minor-league pipeline; Isiah Thomas, who was running the CBA, was a main cog in this happening and is widely credited for destroying the CBA due to him misjudging the leverage the NBA had with the CBA at the time; though to be fair, his vision of every NBA team having an affiliate and being closer in structure to minor league baseball is starting to be realized). 18 of the D-League teams are single affiliates, and the only one that isn’t serves as a “general affiliate” to all the remaining organizations. The NBA isn’t quite to the point of having the kind of Minor League system that Major League Baseball or even the NHL has, but it’s obvious that the NBA wants that and is slowly building the foundation to create a robust developmental league that will benefit players and organizations in the long run. NBA’s reliance on the D-League is more crucial than ever and becomes more and more crucial every year as more teams gain affiliates. Last year, there were a total of 63 call ups and 47 players called up in total, both records in the history of the D-League (the previous high was 60 call ups and 43 players called up in 2011-2012). With success stories such as Jeremy Lin, Gerald Green, Danny Green, and Hassan Whiteside, just to name a few, it makes sense why teams are utilizing the D-League more for talent. They’re classic low-risk, high-reward transactions. If they perform, teams have a talented, cheap assets for at least a season or two. If they do not, it’s easy to cut ties (thanks to the 10-day contracts), and there is no harm, no foul both on the court or on their cap. Teams are starting to realize that the D-League is like a thrift store for talent: sure there may be some less-than-stellar items (i.e. players) in the store, but every once in a while there are gems on the cheap lurking that have been overlooked or mishandled by their previous owners. Maybe Macklemore knew more about the NBA than we think. As you can see, Reno led the league with 7, with Santa Cruz and Iowa coming up tied for second with 6, and Sioux Falls in third with 5. All four teams are single affiliates, with Reno affiliated with the Kings, Santa Cruz with the Warriors, Iowa with the Grizzlies, and Sioux Falls with the Heat. (Though it must be stated that not all their call ups came from their affiliates, as other teams can call up someone even if they are not affiliated as long as they have permission to do so from the team and with some kind of compensation; for example, though Jordan Hamilton was called up from Reno, he was not called up by the Kings, but the Clippers). The average call ups per team was 3.5, and other teams that were above that average were Austin (Spurs), Canton (Cavs), Delaware (76ers), Maine (Celtics) and Rio Grande (Rockets). Some interesting trends occurred in D-League teams who got players called up. Surprisingly, the one with no affiliate (Fort Wayne) did not experience many call ups, as they only had 1 (Dahntay Jones, who is more or a journeyman and less a prospect). Also, the teams that had the most call ups tended to be affiliates of the most successful organizations last year, which is surprising because you would think bad teams would have utilized their affiliates more (a trend you see more in baseball, where losing teams tend to call up their prospects when a playoff berth seems out of reach). The Spurs, Cavs, Celtics, Rockets, Warriors, and Grizzlies were all playoff teams last year, but their D-League affiliates produced more call-ups than the average. The only ones that bucked that trend were the Heat, Kings and 76ers. The Heat probably called up more players due to the injury issues they faced throughout the year (especially when Bosh went out for the year shortly after the Dragic trade), while the Kings and 76ers utilized the D-League due to a combo of them being out of the playoff race early, as well as injuries. Teams below the 3.5 average were Bakersfield (Suns) with 3, Erie (Magic) with 2, Fort Wayne (No Affiliate) with 1, Grand Rapids (Pistons) with 2, Idaho (Jazz) with 3, Los Angeles (Lakers) with 3, Oklahoma City (Thunder) with 2, Texas (Mavs) with 2 and Westchester (Knicks) with 1. Westchester had the fewest call ups of any team with an affiliate with only 1 call up (Langston Galloway on January 7th), a surprise considering the Knicks were the second-worst team in the league record-wise last season and probably could have afforded to take a risk on some of the prospects in their system, Thanasis Antetokounmpo, the brother of Milwaukee’s Giannis, being the biggest example (though they did sign him to a two-year deal this off-season to prevent him from signing overseas in Europe). Texas also had a low call up number (2), but the Mavs were an established roster with a mix of veterans and younger role players, so there wasn’t really much opportunity for a D-League prospect in Dallas throughout the year. Erie’s affiliate, the Magic, was a young-laden bunch, led by Victor Oladipo, Elfrid Payton and Tobias Harris, and there wasn’t much opportunity or need to utilize their affiliate for prospects when there were already so many on the Magic active roster. Los Angeles wasn’t extremely active (3), but they were successful, as Jordan Clarkson, proved to be a callup who could have a good future with the Lakers as a role wing player, as he played 59 games and averaged 11.3 ppg and a 16.9 PER his rookie season after being drafted in the second round out Missouri a year ago (and he wasn’t even drafted by LA, but Washington). And lastly, Bakersfield and Idaho also had fewer call ups than average because their rosters (Suns and Jazz, respectively) are mostly compiled of younger players, thus, the organizations were a lot more patient and didn’t need reinforcements from the D-League often. So what is the final analysis of the call ups from a year ago? Injuries plays a big part of it, especially when teams need to fill a guy temporarily. The NBA doesn’t have the clear-cut “Disabled Lists” like Major League Baseball, so a lot of call ups tend to be short term things to help a guy recover from injury. But, another trend seems to be that the more analytical the organization, the more call ups their affiliates get. Reno, Santa Cruz, Austin and Rio Grande Valley are affiliates of heavy analytics-based organizations (Sacramento, Golden State, San Antonio and Houston) and saw more call ups than average, while Westchester, Los Angeles and Grand Rapids (New York, Lakers and Detroit) are affiliates of more “traditional” organizations and thus, didn’t see many of their players called up by their parent organization or other NBA teams. Whatever the main reasons are that fuel D-League call ups, it is obvious that the D-League is a valued resource among NBA organizations throughout the league. It’ll be interesting to see how more organizations will utilize it next season, especially with some talent going undrafted in the 2015 draft that could improve after a year or two in the D-League, similarly to Whiteside after being released by the Kings early in his carer (Cliff Alexander and Aaron Harrison being the biggest examples, as they also participated in Summer League and most likely will be taking a roster spot on a D-League team to start off the season). The D-League is here to stay and worth following if you’re a die hard NBA fan in 2015-2016. It won’t be surprising to see the upward trend of call ups (2014-2015 was an improvement from 49 call ups in 2013-2014 which was an improvement from 36 in 2012-2013) continue next year, and with many D-League alums making noise in Summer League (Seth Curry and Kyle Anderson for example), organizations will be hard-pressed to ignore the D-League when it comes to filling out or improving their rosters throughout the season. If you live in Kansas City (like I do), you are a bit in basketball wasteland. Since the Kings moved out after the 1984-1985 season, and with the demise of the Kansas City Knights of the ABA after the 2004-2005 season, professional basketball has remained dormant in the Kansas City-Metro area. For a professional basketball fan like myself, this has some benefits (I do not get any locally blacked out games on NBA League Pass), but it also has a lot of negatives for live professional basketball fixes. While there are a slew of college options (UMKC and Rockhurst, DII, in the city; Kansas University 45 minutes away in Lawrence), it just doesn’t match professional basketball. The quicker pace of the game, the higher scoring, the 48 minute games, the silly in-game promos…professional basketball just tops it for me, especially as college basketball continues to deteriorate due to overly-controlling coaches (hopefully the 30 second shot clock will change quite things quite a bit). And besides, with KU games regularly being sell outs (i.e. tough to get tickets), and UMKC and Rockhurst basketball being “dead energy” affairs, even if you do love college basketball in Kansas City, you may be disappointed or coughing up big bucks for quality basketball save for the Big 12 Tournament (though that can be hard to get tickets for, especially the deeper you get in the tournament) or the NAIA Tournament (which is the greatest event ever for basketball fans and also one of the best values, as you can buy all sessions of the tournament for $100). So Kansas City needs another basketball alternative, and the D-League sounds like the most viable option (because let’s face it, with OKC so close, NBA Basketball is not coming to KC, even if the Sprint Center is a quality option). Of course, there are multiple benefits and pitfalls that would come with a professional sports team coming into a metro area. Zach Bennett of Hardwood Paroxysm wrote a good article about 5 potential places for D-League teams, and mentioned Kansas City as the No. 1 choice and looked and examined some of the positives and negative with D-League basketball coming into Kansas City (as well as Omaha and St. Louis, which were other cities listed). However, I wanted to expand on what Zach touched on in that article from a year ago, and go more into depth of why D-League basketball might work in Kansas City. Let’s take a look at four reasons why the D-League would be successful should it move to Kansas City. Zach mentioned Kemper Arena as a potential home for a future D-League team. I couldn’t disagree more. Municipal Auditorium is the obvious choice as the best destination for a D-League team. Municipal is in a great location, walking distance from Power and Light (though further than the Sprint Center), near the Convention Center and access to plenty of Parking Garages (including one right across the street) as well as highways (i.e. easy for suburban people to commute to and after games, unlike Kauffman Stadium and Arrowhead). Municipal was remodeled in 2013, and now is complete with video boards and lower level seating, making it the perfect venue for basketball. 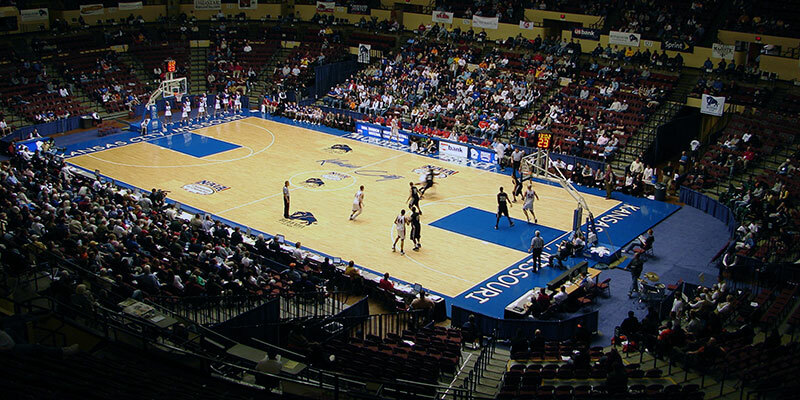 UMKC and the NAIA Tournament have both benefited from Municipal as a venue, and I think a D-League team would benefit from the smaller (it seats about less than 10,000) but more intimate environment. Sprint Center would be the ideal, but that seems less likely since Sprint seems to make too much money from events other than sports, and a permanent tenant (like a sports team) such as a D-League team just wouldn’t be beneficial to their bottom line. But Municipal? Right now, their big money makers seem to be UMKC basketball and the NAIA Tournament, and I guarantee a D-League team would probably outdraw both of those in the long-run, especially with NBA basketball growing in popularity in the Sprint Center (the exhibition at the Sprint Center seems to draw near sell-out capacity every year) and the D-League being a more widely used option by NBA organizations (i.e. more familiar faces than before in Independent basketball). One of the best initiatives the NBA has made in the past five years or so has been emphasizing the D-League’s importance more. The league has done a great job promoting it, from televising all games free on YouTube to having more 1-1 teams (i.e. a D-League affiliate for every franchise). Furthermore, general managers are starting to see the benefits of the D-League, letting late round picks get valuable playing time in the D-League rather than rot at the end of the bench. And the D-League has had its share of success stories. Danny Granger reshaped his game into a 3-point specialist in the D-League. Jeremy Lin earned a shot in the NBA thanks to his strong performances in the D-League with the Reno Bighorns. And, NBA teams are utilizing the D-League as a place for strategy experimentation, as the Rio Grande Valley Vipers (the affiliate of the Houston Rockets) and the Reno Bighorns (affiliate of the Sacramento Kings), famously showcased the past couple of seasons. 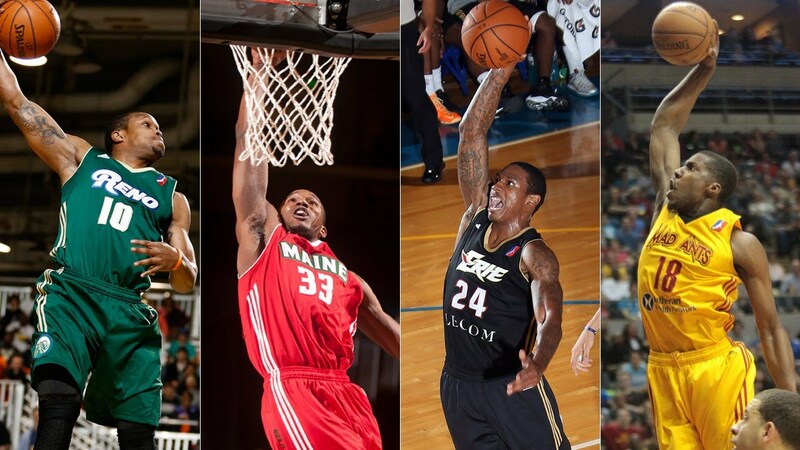 D-League basketball is not just a holding ground for washed up veterans and failed rookies. It has been a legitimate lab for young players to hone their skills and organizations to test strategies and concepts that would be too risky to employ during the 82 games season. So with that being said, the D-League is important. It’s important to players and more importantly, organizations. And with that being the case, the basketball has become better and more entertaining than what we have seen from independent basketball in the past (i.e. the CBA and ABA). Players getting called up is not a rare occurrence any more. Is it on the level on Minor League Baseball? Of course not, but it’s getting there, as evidenced by the more single-team D-League affiliates. Kansas City basketball fans will recognize this and show up, knowing that they have the potential to see the next Lin, the next Hassan Whiteside, the next Gerald Green hit the Municipal Auditorium floor, be it on their team or the opposing one. Kansas City has loyal fans. I mean, look at the latest All-Star voting for chrissakes where the Royals almost got seven players in, including a second-baseman who was around replacement level. Heck, look at Sporting KC, which has become the standard for most MLS teams, as well as the Kansas City T-Bones, who remain a draw despite being an independent league team in a city that has Major League Baseball. Kansas City people love their sports, and with relatively few big-time basketball options beyond KU or K-State and Mizzou (if you’re willing to make the drives), it seems only natural that Kansas City would ardently get behind a D-League team. But, in the big picture, Kansas City could be a trendsetter for a D-League Midwest Mecca. What do I mean? There are plenty of cities that could probably benefit from D-League teams in the Midwest. Omaha and St. Louis are two that come to mind, and Sioux Falls, and Des Moines have D-League teams that could further add to possible rivalry fire. Could you imagine a D-League Cup perhaps in the Midwest where KC, Sioux Falls, Omaha, Des Moines and St. Louis would all be involved? I can see the citizens of KC getting behind it, going for the bragging rights of being the best Midwest team in the D-League even if it only D-League. Midwest people like their bragging rights as the best Midwest city in any category. College football, beer, BBQ, thunderstorms, etc. D-League basketball would just be another venue to do so, and that would not just benefit the fans and people of these metro areas, but the D-League as well (as attendance and coverage would increase because of this quest for bragging rights). Like I said, it’s probably a long shot, or at least a long shot in the immediate future. Seattle is the obvious front runner for a NBA team (after all, it seems owners use Seattle as ammunition to hold cities hostage over the construction of publicly funded arenas. Sacramento was in this situation years back, and it looks like Milwaukee is going through a similar issue. After Seattle, Vegas also seems to be a viable option due to the amount of money in Vegas, the night life, and the possibility of sports gambling becoming a more widely accepted thing. However, the NBA lacks a serious presence in the Midwest to the west of Milwaukee and Chicago. Oklahoma City can be considered Midwest or Southwest depending on who you ask, but to me, it feels more closer to Texas in terms of lifestyle and culture than Missouri or Kansas or any other Midwest state. So, there needs to be a presence of professional basketball in this part of the country, since going to Denver or Chicago for a game requires an arduous journey of sorts, especially during Winter time. Kansas City has the amenities. The Sprint Center is a NBA-quality arena. The Power and Light area around Kansas City would make it an attractive hangout for younger crowds before and after games. They are working on some streetcar systems that could make it easier for people to commute to and from games (or at least find different parking spots all over the city). Basically, Kansas City has now what Sacramento wants in a year. Maybe Kansas City doesn’t stick out like Seattle or Vegas, but Kansas City could host a NBA franchise and they could be successful with it. Unlike St. Louis, who has struggle to support three professional sports franchises (i.e. the Rams), Kansas City seems like it would thrive due to the fan loyalty and economic infrastructures (downtown arena) already in place that would correspond to a NBA franchise succeeding in a city. But, Kansas City needs to prove that it can handle basketball, and what better way to do it than with a D-League team? We have already seen MLS franchises get established due to the minor league teams becoming such wild successes. It is easy to think that the same can happen in Kansas City, as fan support will catch the eye of Adam Silver and the NBA and they will realize that all the pieces are in place for a NBA team to relocate to Kansas City. And if a successful D-League franchise doesn’t catch Silver’s eye? Well…at least there will be professional basketball again in Kansas City, and that would still be a win for basketball fans in Kansas City.